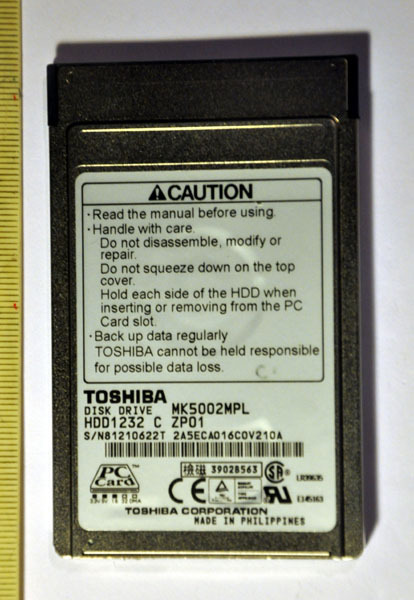 Toshiba Type II PC Card. e.g. palm tops, video cameras, digital cameras. 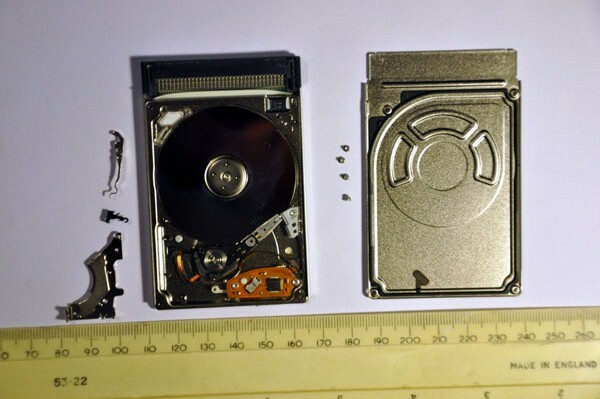 Floppy drives and disk drives were too big. 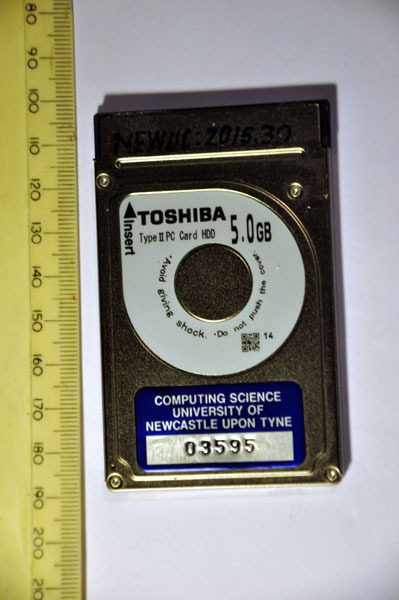 by TOSHIBA could store 5GByte. 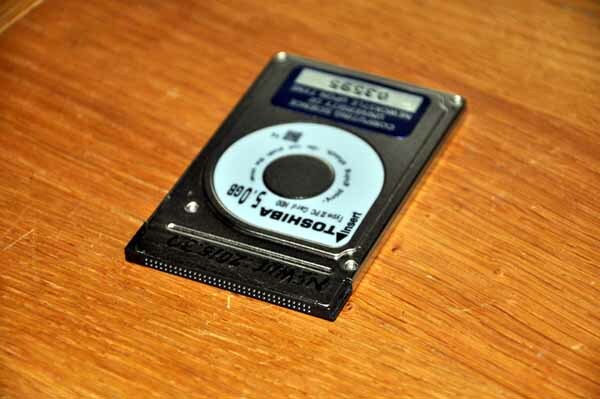 thicker, and weighed just 50grams. 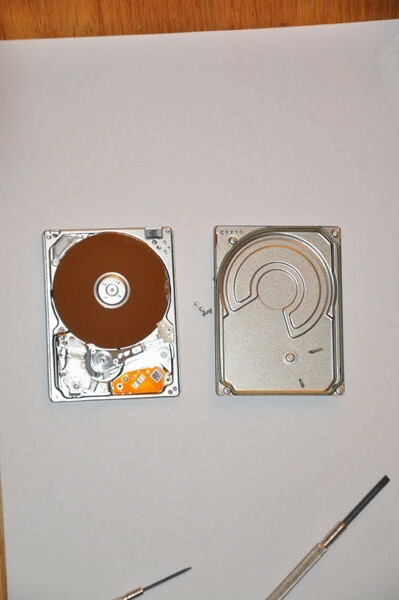 screws and the top can be removed. but here there is only one. 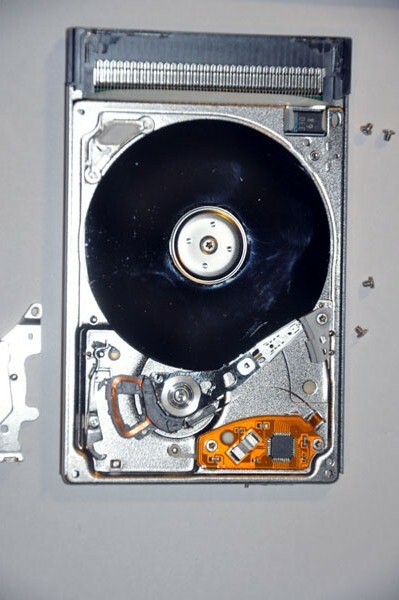 The platters spun at 3990rpm. The data transfer rate was 66.7MBit/sec. The seek time was 15 msec(average).